After raising its shipment forecast for 2018 from 180 million to 200 million back in August, Huawei announced earlier this month that the milestone will be achieved by December 25. True to its word, the Chinese handset maker confirmed today that it has now shipped more than 200 million smartphones. 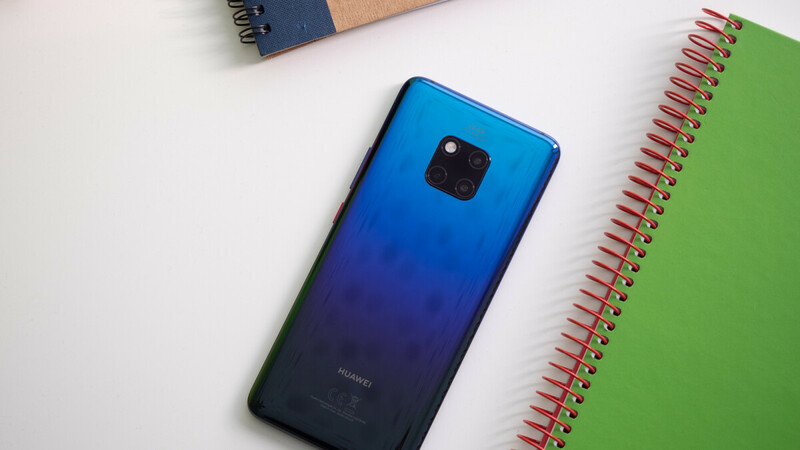 This is a new record for Huawei, driven by the strong sales of the P20, Mate 20 and Honor 10 devices, the company said in a statement for CNET. Huawei's smartphones are extremely popular in Europe and China, but almost non-existent in the United States, although not without reason. U.S. carriers pulled out of deals with Huawei one after another as the United States government advised consumers not to purchase the Chinese company's phones. Even so, Huawei is doing so well in other regions that it managed to leapfrog Apple and become world's second largest phone vendor after Samsung. In the global smartphone market, Huawei has gone from being dismissed as a statistical 'other' to ranking among the Top 3 players in the world. According to Huawei, more than 500 million people in over 170 countries are using its smartphones, an impressive achievement considering that 8 years ago the company shipped just 3 million phones worldwide. Well done. Hauwei really went after innovation this year although incorporating a unibrow was something that turned me off from thinking of picking one up. "Huawei has gone from being dismissed as a statistical 'other' to ranking among the Top 3 players in the world" While Nokia, HTC, and RIM, dismissed from top 3 manufacturer to 'other' on global ranking. HMD, who makes Nokia branded smartphones now because Nokia themselves isn't in the smartphone business anymore, is a top 10 global smartphone OEM, and "RIM" doesn't exist. They are strictly called BlackBerry now, and they don't even make phones anymore, so they aren't included in smartphone rankings. Nokia is skipping because of the erroneous naming and the derivative phone release. Nokia doesn’t make smartphones anymore, nor do they name them. And being a top 10 smartphone OEM proved your statement of “skipping” to be false. Congratulations, Huawei. No doubt in my mind that you would be able to pull it off, especially with releasing competitive and feature packed smartphones with the high end Mate and P series, and some of the best bang for your buck smartphones through their Honor sub-brand, Nova series, etc. And I find it amazing that they have sold so many smartphones with virtually no presence in the U.S. Keep up the great work, Huawei. If Huawei's software was better, I would have traded my Note 9 for the Mate 20X. I personally feel the Mate 20 X is the best Huawei phone....if the screen was smaller,it even had the potential to cannibalize Mate 20 Pro's sales. And also better hardware. Huawai is a crap with very low quality and very big luck. Huawei's latest hardware has been great. Haven't had any hardware issues with my Mate 10 Pro or my View 10. Isn't that considered anecdotal evidence? Isn’t what you have to say about Huawei considered anecdotal evidence? I agree. Huawei is about as quality as a Ford automobile. Lol, your post is so full of it you can’t even type it correctly. Really? You think Samsung is gonna lose 100M sales and Huawei is gonna gain 100M sales? You need to stop smoking crack brug. For 2018, Samsung has still sold 300M phones. Next year it is highly unlikely Huawei will be #1 selling 300M phones. Not impossible, but highly unlikely. You precious Apple has never sold the most phones vs smartphone OEMs, like Nokia, BlackBerry or Samsung and they never will. Samsung only lost roughly 20M sales for 2018, which based on last years sales, still lots them at 300M+. You should go hang out with your 5 boys who love Apple, because Apple is falling way faster than Samsung. Since the iPhone X won't change next year or drop in price, Apple only option would either be to revive the SE at a $500 price point, because they cant drop the price on the other models, unless they also cheap out on the hardware. Next year Apple will probably stop oncluding headphones in the box. Cheap garbage. Apple claiming they use sapphire glass on the camera lenses, yet it scratches at 6 and 7 just like Gorilla Glass, as JerryRig has shown. Llpersonallt I dont care who is on top. Samsung will still and forever be the top selling Android in the US for the foreseeable future Samaung holding even 2nd place will still have them far ahead if Apple, which Samsung has always been. Just remember, 2rd place nobody remembers, and 2nd place is still not a winner. Well done Huawei. I wish ur midrangers had great hardware and software too, and not just great looks! Telling from experience. They've gotten to number 2 without the US so they can still achieve number 1 especially with the decline of Samsung's and others sales. Right, Huawei isn't even big on US, they only have 0.3% of US smartphone market share on Nov'18. They can forget US, and focus expanding to South America and Australia and get even more sales. Huawei doesn't need the US to be number one. Again you guys seem to act like a lot bbn of people live here in the US. HUAWEI can be #1 with just Chinese sales alone. ADD India and it a given. Come on man. The US has only 350M citizen. Shanghai is 1/7th the world population for a single city. India alone as a country is 1/7th the world population. Plenty room for growth because Apple is never gonna be top spot in either of those countries unless they start making cheaper models. They are doing lot more harm to Samsung which just lost 20 million sales in two quarters. Huawei is not a big threat for Apple.